This isn’t the first time u/FGljan has leaked Rainbow Six operator gadgets onto Reddit. In November, they managed to work out details about operators from Ubisoft’s json website files. In their first leak post, they unearthed the terms “Airjabs Detonated” and “Hatches Electrified” which we now know refers to Nomad’s powerful Air Jab launcher and Kaid’s Electroclaw gadgets. The fact that u/FGljan’s previous leak turned out to be true lends credence to this one, but you should still read the new leak post with a pinch of salt. 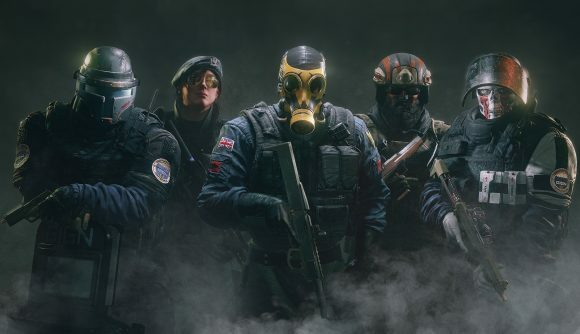 Ubisoft hasn’t had a fun ride with Rainbow Six leaks. Details about both their new Operation Wind Bastion operators, Nomad and Kaid, leaked before they were officially announced. Both Nomad and Kaid have been nerfed prior to launch, too. Speaking of which, it’s the Rainbow Six Siege Wind Bastion release date in a few days – make sure to follow that link for much more info on what to expect when the latest season kicks off.